Alfred Walter Campbell—’Snowy’ Campbell—was a pioneer of the neurosciences in Australia. From rural New South Wales, he trained in medicine in Edinburgh and did his early research in Prague and at the County Lunatic Asylum at Rainhill in Lancashire. Campbell’s major work, the first histological study of the minute structures of the human brain and their functions, led to international recognition. 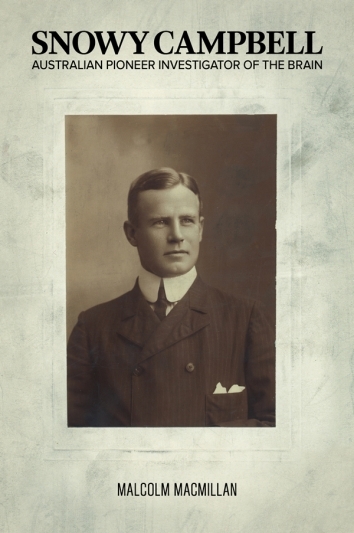 On his return to Australia, he began in clinical practice, completed a study of localisation in the cerebellum, and in 1915 spent a year in the Australian Army Medical Corps dealing with neurological casualties from Gallipoli. Later in his busy career, he completed the first histological study of the gorilla’s brain and with others comprehensively investigated the disease that became known as Murry Valley Encephalitis. He died in 1937. Italo Calvino maintained that ‘a classic is a book that comes before other classics; but anyone who has read the others first, and then reads this one, instantly recognizes its place in the family tree’. In telling us the captivating biography of Snowy Campbell, Macmillan introduces us to his Histological Studies on the Localisation of Cerebral Function, restoring it to its proper role as a classic in neuroscience. Should you be interested in ascending the neuroscience mountain of knowledge, you will be elated in finding the pioneering climbing bolts that Snowy left and which Macmillan meticulously found for us.